Barnacles (a mixture of Chthamalus fissus/dalli and Balanus glandula) within plots at Occulto declined substantially during the first few years of monitoring, but recovered somewhat in more recent years. While bare space was still present in the plots, much of it has become occupied by mussels and several algal species, including Endocladia, Silvetia and Cladophora. 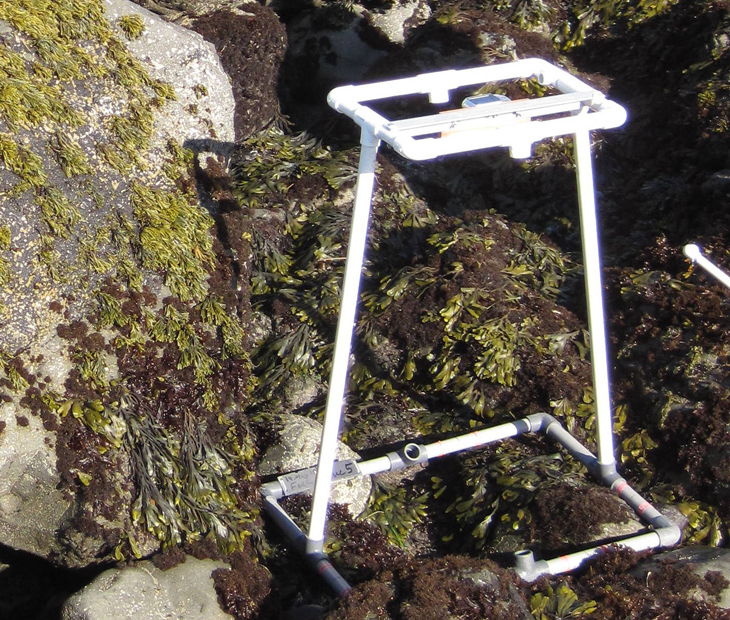 Barnacles recruiting into this site tended to settle above the barnacle plots, in an area that is at a higher tidal elevation than barnacles were commonly found when monitoring began at Occulto over 20 years ago. Thus, although barnacles in the plots have declined substantially, they are still common at the site overall. Limpets and littorines were common in these high intertidal plots, and a few Nucella spp. were found amongst the mussels. Mytilus cover within the mussel plots at Occulto has, on average, remained high over time. Storm-associated wave disturbance has removed mussels on occasion, and available space was temporarily colonized by other species, including Mazzaella, Phragmatopoma, and articulated corallines. However, mussels have always recovered. Limpets are the most abundant motile invertebrate counted in the mussel plots, but other species such as the whelk, Nucella spp. (mostly N. emarginata/ostrina), and the chiton, Nuttallina spp., were also commonly found. Mytilus has steadily recruited into the Endocladia plots and is now a dominant part of what used to be a turf weed dominated community at Occulto. Presence of Mytilus does not necessarily exclude Endocladia, as the alga can grow on top of mussels. In recent years, Endocladia has declined site-wide and is now considered to be “present”, but by no means “common to abundant” as previously described. The Endocladia plots are now primarily composed of bare rock and Mytilus. Limpets and littorines were the most common motile invertebrate found in the Endocladia plots, with a few Nucella present within mussel patches. Pisaster counts at Occulto were highly variable, largely because they are influenced by sampling conditions, as much of the plot consists of steep reef edges that can be difficult to sample when the swell is large. 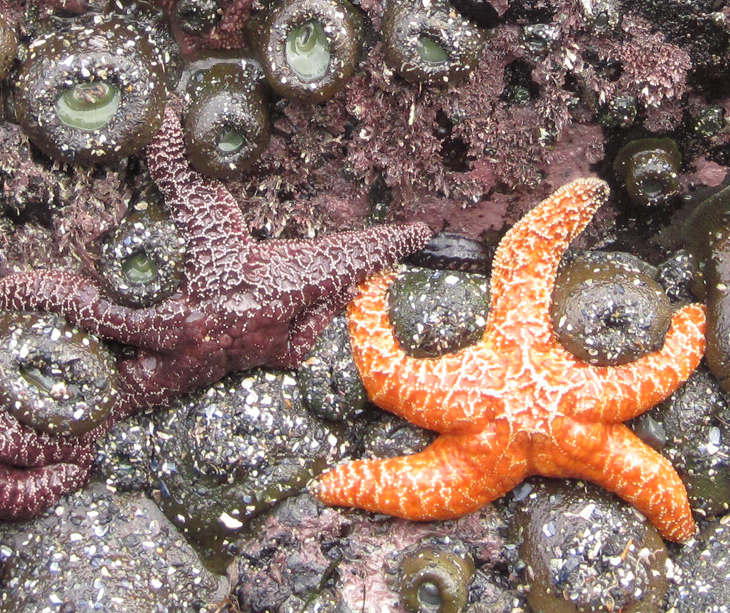 However, as with other sites in Santa Barbara County, ochre stars declined substantially with the arrival of sea star wasting syndrome. Sea star size typically spanned the entire range with both juvenile and large individuals commonly found, so hopefully new individuals will recruit to the site soon and lead to recovery.